Last month, I attended KEMPA’s regional high school journalism conference, and I went to a session taught by an experienced newspaper adviser. She gave valuable advice to new advisers, including myself. One of the things she shared was her extensive rubric for grading that gives me heart palpitations just thinking about. Grading is often the bane of the journalism adviser’s existence. It’s also a hot topic. 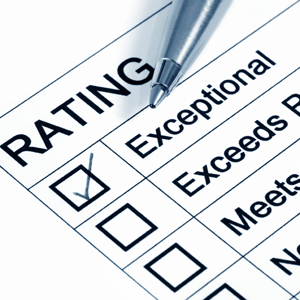 Some advisers believe in rubrics and points; others take a more holistic approach. When it comes to DAILY online journalism, I don’t know how any digital media adviser can keep up with rubrics. But I’d love to hear about it, if any of you do! The best part about this system, for me, is that it’s the student’s goal NOT mine. Occasionally, I will have to work with a student at the beginning of the year to help them write attainable or more challenging goals. Also, the final exam for the course consists of a one-page reflection on these goals and a conference with me. I will cover most major news stories, writing my monthly blog and at least 3-4 articles a month. I will edit all News stories. I will run an organized department meeting in which matters get discussed and stories get distributed. I want to continue to improve my interviewing skills. As the news department, have the most hits during the week at least five times this semester. Write stories that mean something to the student body. Publish stories in a timely manner. This is awesome. I’m always trying to figure out a way to authentically grade my students. This really sparks some ideas. Thanks, Evelyn. Glad this helped! I’m not a rubric fan, so this system works for me. I love this idea–I’ve been doing a points menu system for a few years, which has its merits, but with recent students, it seems to have lost its effectiveness. It looks like this is a good long-term solution to grading and that it’s not as susceptible a student taking advantage of the system. Have you encountered any issues with it?